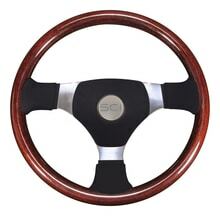 18″ blue wood steering wheel. 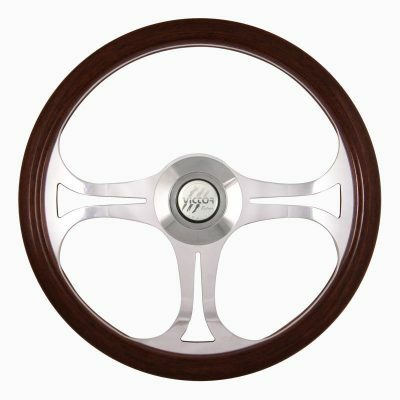 4 chrome spokes with slot cutouts and chrome center hub. Star chrome ring and RedStar button. 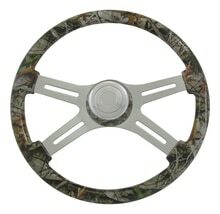 Comes with chrome hub adaptor to fit your truck. 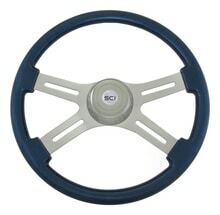 Manufacturer is Steering Creations. If your model or year is not listed please call. Sold by each.